Keep the kiddos occupied while they have fun and learn too! EXCELLENT Scrap Buster Design! 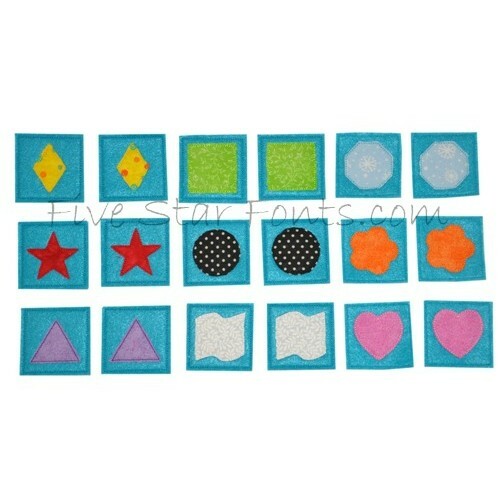 This game set only needs 1/4 yard of felt and small scraps for the applique shapes. 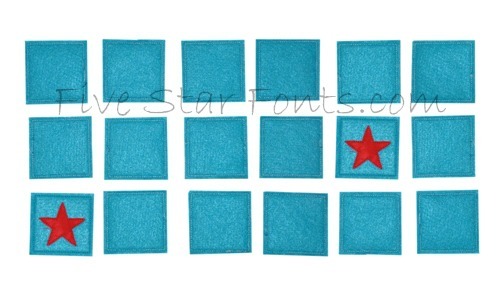 Quick, Easy and Inexpensive to make. I made the set using 5x7 hoop. It took my just under 1 hour to complete them. Plus as a BONUS, we also include this handy pouch to keep all the game pieces together and from getting lost! You can use snaps (as we did) or velcro to close the pouch. 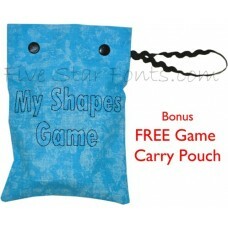 Add a carry strap too, we include all the details in our pdf instructions. **NO Additional sewing required. Everything is done completely in the hoop. 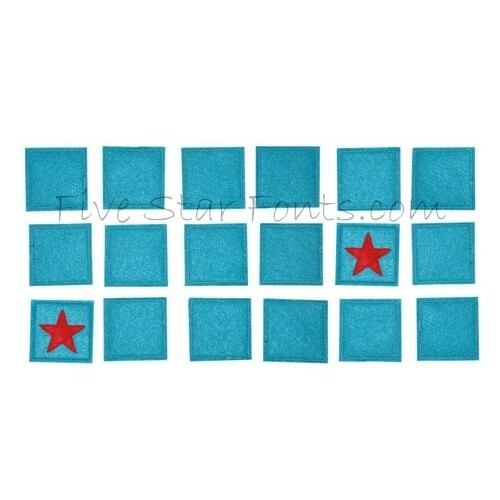 **9 DIFFERENT shapes included. You can see the different shapes above. 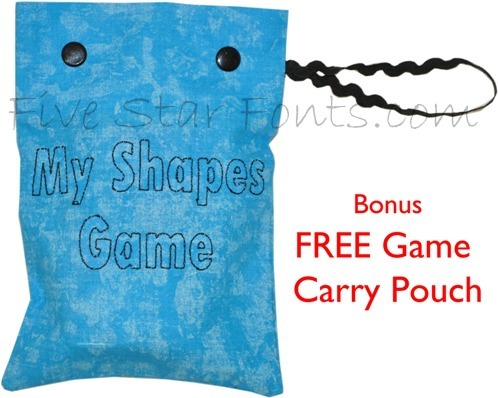 5x7 Hoop - 4.56" x 6.76"
7x12 Hoop - 4.56" x 11.52"
BONUS FREE Carry Pouch - 5x7 hoop - 4.94" x 6.93"
Note: Finished Size of each game piece is approximately 2 1/4 x 2 1/4. 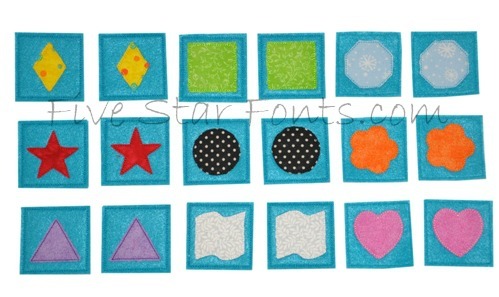 Finished size of BONUS carry pouch is 5.75" X 4.75"
SPUNKY Applique Font - 4 SIZES!